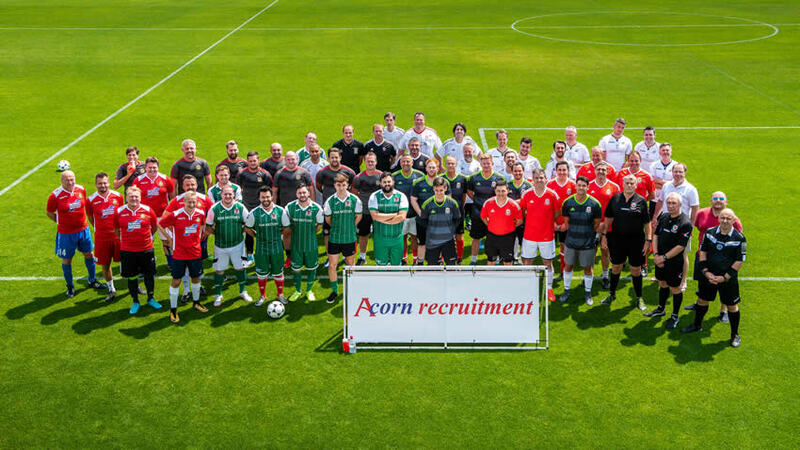 This year’s CEO Kick about attracted more than 50 Welsh business leaders, which offered a unique day of networking and tactical insight on using sports strategies and analytics in the workplace and not forgetting the all-important Football Tournament! The day started with an inspirational insight session led by Wales assistant manager Osian Roberts. This exercise certainly got the brains ticking and sparked a huge interest into how Wales prepare for penalties and other set pieces. Time for the real action! Attendees then made their way to the state of the art facilities at Dragon Park and they were joined by footballs current and ex-professionals, including Newport County manager Michael Flynn, former Wales footballer Owain Tudur-Jones and Scarlets assistant coach Stephen Jones. They all offered advice and support before coaching and playing in the hotly contested charity football tournament. The purpose of the event was to raise funds for the FAW Trust, the event raised more than £23,000. The pitches were in perfect condition and the weather was glorious, although some did say it was a tad too hot! There were goals, tackles and plenty of mistakes. Whilst the standard of football wasn’t always pleasing on the eye, there was plenty of enthusiasm and onlookers were certainly entertained. As the Official Insurance Partners of the FAW Trust, Watkin Davies were present at the event. Our two employees – Dean Raven & Daniel Abbott – lined up alongside Michael Flynn, to represent Newport County. Both players competing to be at the top of the scoring charts at the halfway stage. After their penultimate game ended in a draw, County knew a win would seal the trophy in their final game and win they did! County managed to stay on top of the table from start to finish, sealed their victory with a hard fought 1-0 win in the final game. The goal coming from our very own Dean Raven after a lovely solo effort after receiving a delicious through ball from Daniel Abbott. The players were then treated to a delicious BBQ, congratulations were handed out to the tournament winners and player of the tournament, as well as all the volunteers and guys behind the scenes who made the 2018 CEO Kick about a roaring success. Congratulations to all involved and here’s hoping next year’s event is an even bigger success! !